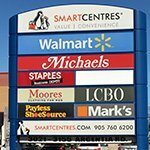 Are you looking for affordable commercial signage to support your business and marketing goals? Vision Visual is your local Morrison sign company, that delivers the attractive, high-quality signs your business needs to do just that! 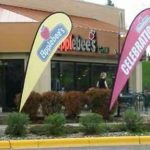 As your leading Colorado sign shop, we handle every aspect of your signage project right here in Morrison, Colorado. We focus on providing environmentally friendly, sustainable solutions through efficient, proven business and manufacturing processes, allowing us to quickly and efficiently deliver high-quality products that save you both time and money! We look forward to discussing your promotional and marketing goals! Call Vision Visual today at (720) 307-7780 for your Free Consultation with a Signs & Graphics expert! Are you looking to streamline your products and services, improve your customer’s experience, and ultimately take your business to the next level? 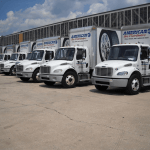 Vision Visual delivers the signs and graphics you need to do just that! 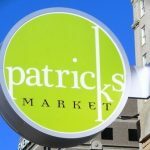 From your initial free consultation to the final sign installation, we custom create the signs you need, tailored to your brand, location, and budget. Our mission is to provide the solutions you need, and we accomplish this by working with you through every aspect of your signage project. We listen to your goals, ideas, and needs to get a firm understanding what your expectations are for your sign and recommend the appropriate options that best support those goals. 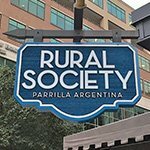 From attractive, eye-catching vinyl signs to promotional flag signs, yard signs, A-frames, banners, custom commercial signs, and more, we have the skills, resources, and tools to ensure your business and brand reflect the professional image your customers want when doing business with you. Your business and brand are unique. From the products and services you provide to your unique branding message, your business is defined by what you do and who you are. So how do you ensure that your business doesn’t blend in but stands above the surrounding businesses and competition? 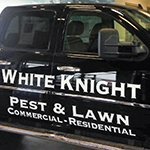 Vision Visual creates custom commercial signage, making it easy for you to get the perfect signs for your business and goals every time. 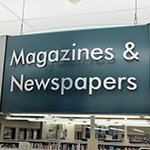 Whether you are a manufacturer, retail store, service provider, restaurant, contractor, school, government, non-profit, office building, or any other business type, we work alongside you to ensure you understand what signs you need, and how additional signage elements can support your business goals. Professionally crafted business signs and graphics are the perfect way of projecting the professional image want and informs your target audience that you are ready to assist them. When you need a reliable signage provider that can deliver the solutions your business needs to grow, Vision Visual is the right choice! 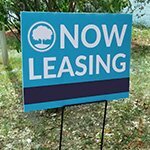 Increase your brand and business visibility, customer foot traffic, and professionalism with high-visibility, eye-catching exterior signs and graphics by Vision Visual! From towering pylon signs to attractive channel letter signs, retro LED signs to engaging window displays; we have the solutions you need to get your business noticed. Your storefront sign is the first step to building a professional image and growing your business. 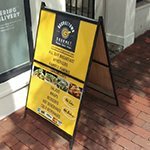 Your storefront is typically where your customers make their first impression, and the outdoor signs and graphics you use is often the deciding factor when deciding whether or not to do business with you. 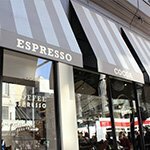 Many companies are utilizing channel letters, dimensional letters, hanging signs, even awnings to introduce their brand and business in an eye-catching, attractive way. 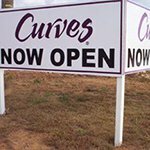 Window displays are a fantastic option to tell potential customers what you have to offer, while vinyl cut letters provide essential information such as your hours of operations, business license, and more. 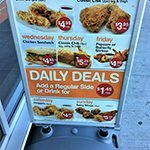 Banners, flag signs, and a-frame signs are ideal for drawing customers in for your special promotions or offers. With the right combination of impactful, dynamic exterior signage elements custom-made by Vision Visual, you are sure to make a huge impact and drive your marketing success forward! 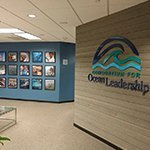 Improve your customer’s experience, streamline your products and marketing strategy, and improve employee morale and productivity with impactful interior signs by Vision Visual. 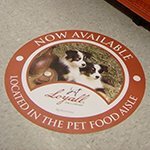 Whether you want to assist customers to navigate your facility or keep your employees safe, we have the custom indoor signs and graphics you need to achieve any goal! 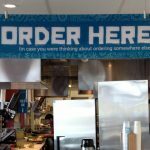 The specific interior signage blend you choose will depend on your physical layout, business needs, and legal requirements regarding signage. 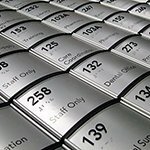 From point-of-purchase signs to promotional product displays, safety signs, and wayfinding signage, we advise you on the right signage elements for your business. From your initial free consultation to final sign installation, repair and maintenance, we handle every aspect of your sign project, so you will always know where your project is at, every step of the way. Our focus is to deliver the cohesive, brand-building signage your business needs to stay competitive in today’s tough economy. 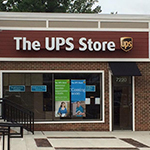 Not sure what signage products, materials, or options would best fit your business? Vision Visual can provide on-site evaluations to determine what elements will best fit your location, brand, and business. We’re eager to help you create a productive workplace! 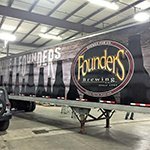 When you want your brand, services, products, and business to get the attention you need to grow, there is no better promotional tool than commercial vehicle wraps and graphics. 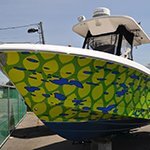 Vision Visual offers complete fleet wrap services for any vehicle type, including semi trucks, tankers, buses, RV’s, smart cars, motorcycles, ATV’s, even golf carts. As your local full-service Morrison, CO signage shop, Vision Visual, is your complete sign service provider. 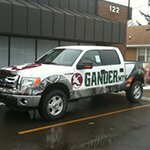 From vehicle wrap design through installation, we can install the perfect brand-building promotional tool that not only looks good in any weather condition but also acts as a protective layer for your vehicle, making it a smart, long-term investment in your business. 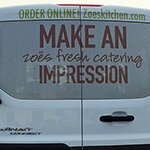 Whether you’re on a job site, heading to an appointment, or parked for lunch, your vehicle wrap is working hard to promote your brand and business! 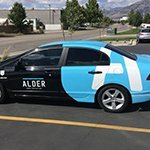 Delivery vehicles, food trucks, contractors, and various other professionals rely on their vehicles for business promotion and identification, but that doesn’t mean that they’re the only ones who can benefit from a branded vehicle wrap. 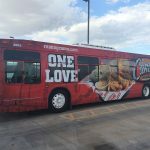 Every business can utilize their vehicle as a promotional powerhouse, grabbing the attention of anyone who passes by your vehicle. Vision Visual understands the significant impact signage has on your ability to present a professional image to your target audience and community. 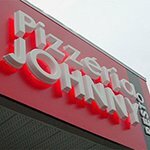 To accurately represent your business, the signage you choose needs to be professionally crafted and designed to reflect your unique brand and business. 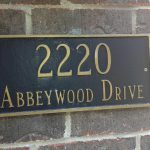 With mediocre signs made by ordinary sign companies, your ability to present a professional front, is nearly impossible. At Vision Visual, we are the complete package. 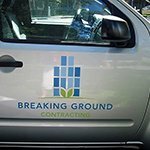 We not only custom create every type of signage solution you could ever need, we also provide design assistance as well as professional installation, repair, and maintenance. 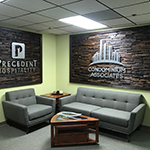 Whether you are looking for a branded storefront sign, lobby sign, or a custom sign or graphic, Vision Visual can handle any signage challenges you face. 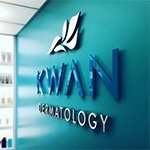 With specialty signage, you can take your vision and turn it into a reality. From adding lighting elements to etching, carving, burning, or sandblasting most mediums, we make sure that your signs stand out from your competition. As your leading signage provider, we create the custom specialty signs you want and need to increase customer traffic and brand recognition. Whether you need one custom sign or an entire collection of business signage, Vision Visual will deliver the specialty sign and graphic solutions you need to grow your business. 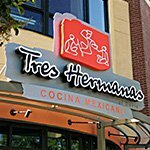 Few sign companies offer you the complete package, supporting you throughout your signage project. As a one-stop sign shop, Vision Visual provides a comprehensive range of signage services, eliminating the need to go from one company to the next for design, fabrication, and installation assistance. We even provide repair and maintenance services, to ensure your signs always have that professional shine. 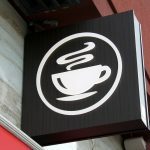 For your signage to support your unique goals, brand, and business, it needs to reflect your business accurately. We take the necessary time required to understand your business, brand, and team so we can recommend the right sign types, materials, and placement that fits your location, budget, and timeframe. Our consultation team works directly with our sign design team to ensure that your project matches the vision you have portrayed to us. You have complete editing control over your design, and we will provide a proof of your design for you to review, edit, and approve. Our goal at Vision Visual, is to provide environmentally friendly signage products fabricated through efficient business and manufacturing practices. By utilizing sustainable machines, materials, and methods, we can reduce material waste and conserve energy. Our sign installation experts ensure everything is placed safely and professionally for ultimate appeal. 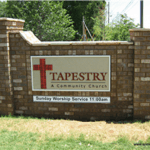 Do you have an outdated or damaged sign that needs to be removed, repaired, or replaced? 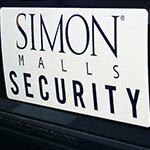 From replacing an individual signage element to sign repair or complete sign replacement, our expert sign maintenance team is here for you. 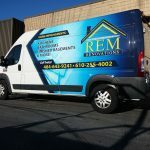 As a leading sign manufacturing company, we provide a comprehensive range of signs from storefront signs to full-vehicle wraps and everything in between. Whether you know what you need or are unsure of where to start, Vision Visual is always here for all of your signage needs. 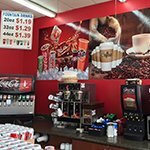 As your local full-service Morrison sign company, Vision Visual, knows that high-quality, attractive commercial signs can significantly improve your ability to attract new clients and customers for your business. 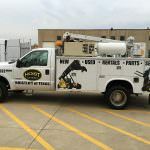 We are passionate about providing the customer service our clients deserve, and we are committed to providing outstanding customer service through every stage of the sign creation and sign ownership. 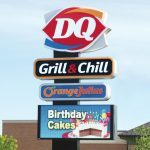 When you need a trusted, local signage provider that can deliver the solutions you need for all of your signage challenges, Vision Visual is the right choice! Contact Vision Visual today at (720) 307-7780 for your Free Consultation with a Signs & Graphics expert!